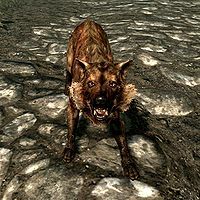 The Alpha Wolf is an unused creature that does not appear in-game. The Alpha Wolf appears in the official pre-release gameplay footage. This page was last modified on 7 July 2013, at 16:28.